When you want to insert multiple records into a line item table, you can use column FQSaveToCache. Set column FQSaveToCache to 1 in all insert queries except the last line set to 0. 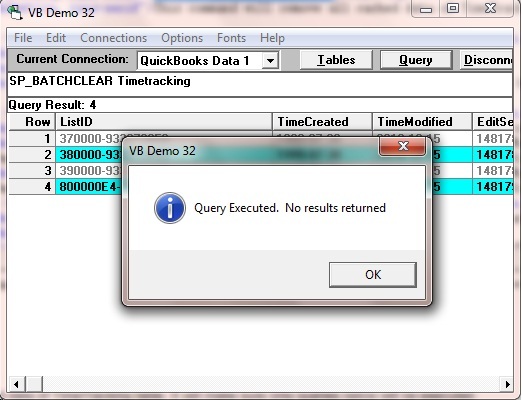 But table TimeTracking is not a line item table, there is no FQSaveToCache column in that table. So you need to use the alternate method. 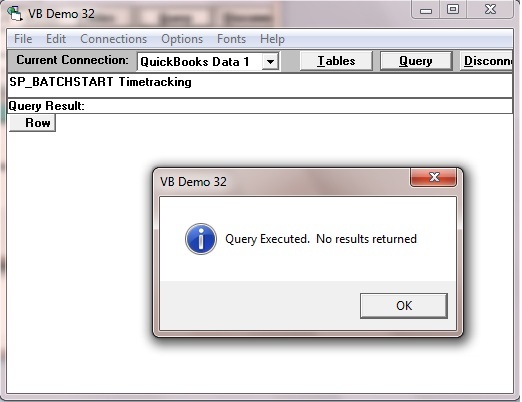 This article will show you how to use the sp_batch command to insert multiple records into TimeTracking. If you are not familiar with the sp_batch statement, please refer to This article for more information. This command will remove all cached data from TimeTracking table. It will make sure only queries below will be executed. 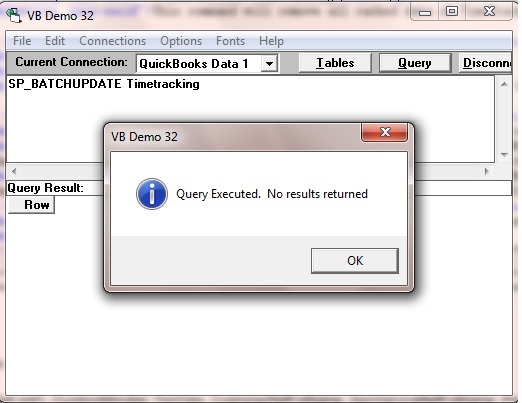 This query will upload all queries in the cache to QuickBooks. I don't see that this solves my problem. I'm going to have a load of insert queries to run. 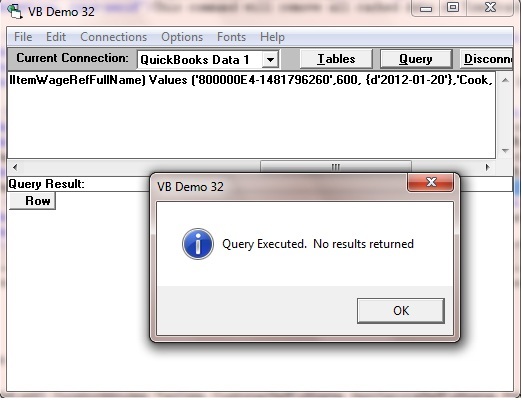 If I could do this in MS Sql, which is installed on a different server, I would passed all the commands into one query window and hit run. Using VB Demo, the only tool available to me now, I will have to paste each line one at a time and run it. Is there an easier way to do this?